WAVO is the easiest way to get all your favourite movies, dramas, box sets and more. Watch what you want, when you want. Sign up for USD 2.99 monthly, and explore thousands of hours of content. Your subscription will automatically renews unless auto-renew is turned off at least 24-hours before the end of the current period. WAVO هو أفضل وسيلة للحصول على كل ما تفضله من قنوات تلفزيونية مباشرة، أفلام، مسلسلات بمواسمها الكاملة والمزيد. شاهد ما تحب وبالوقت الذي تحب. سجّل الآن فقط ب 2.99$ شهرياً واستمتع بآلاف الساعات من المحتويات. ليس هنالك عقود أو قيود. يمكنك إلغاء اشتراكك في أي وقت. -	سيتم تجديد اشتراكك الشهري بشكل تلقائي. فقط في حال إيقاف التجديد التلقائي قبل 24 ساعة من إنتهاء الفترة المدفوعة لن يتم سحب المبلغ. -	سيتم خصم المبلغ الشهري قبل 24 ساعة من إنتهاء الفترة المدفوعة. -	أي فترة غير مستخدمة من الفترة التجريبية إن وجدت، سيتم إلغاؤه عند الشراء والاشتراك. OSN is pleased to release its latest version of WAVO with our best-yet quality video resolution and customer experience in time for our latest and most-promising scheduled TV shows and Movies! Additionally we have made improvements to our Chromecast functionality and cleared some of the bugs related that. Thank you very much, and stay tuned for continued improvements on this platform. 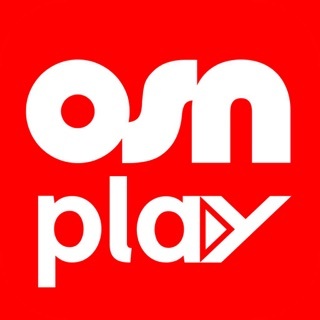 يسرنا إعلامكم أن OSN قد أصدرت أحدث إصدار من WAVO و بدقة عالية الجودة وبتجربة مختلفة للاستمتاع بأحدث المسلسلات والأفلام! بالإضافة إلى ذلك، قمنا بإجراء تحسينات على نظام المشاهدة عبر كروم كاست لضمان الجودة المطلوبة لكم. شكراً جزيلاً. كن مستعداً للمزيد من التحسينات على الخدمة. Tried to watch the ongoing cricket match. It the playback kept failing. Asked my friend who had referred me this app, he also couldn’t see the match due to playback issue. Had to miss out on the excitement & look for other ways to catch up with the match. Hi There, Please provide me with a screenshot of the error message on feedback@wavo.cm in order to be able to assist you :) "khaled"
It bothers me that the welcome screen for Wavo is a well-known seizure enduring light show of flashing colors. But that's only the tip of the iceberg. I cannot connect it to the Apple TV and I cannot get the app on my smart TV becasue it only is available on LG and Samsung TV's. We have a Sony so the only way I could watch on the big screen is either an HDMI cable from the laptop or casting from phone to screen which is just horrifying. Navigating around the site is a nightmare. Episodes don't play automatically after the other, it doesn't recognized your most recently watched shows, it crashes ALOT, titles are categorized according to genre but not alphabetically so you have to dig and dig for the titles you want. It's not user friendly. Live TV was a worst nightmare as the page loads incomplete and tremendously slow. Can’t give more than 3 till now when I subscribed for one reason which is Smart TV app. Please note that if your TV is Samsung smart TV 2015+ now the app has been updated and it should work fine. If you have a different model so as an alternative solution you may try to connect your Laptop to your TV through HDMI cable, you may use Chromecast device or Humax box 1,3.